In this series of posts, We will highlight top users of eSteem and giveaway some extra rewards. Only comments and posts stats are considered. 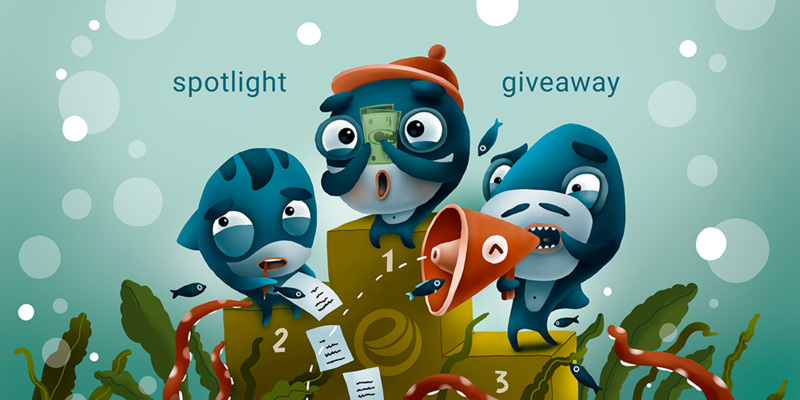 User can only take part in one of 3 sections, either comments+posts, just posts and top earners sections and 3 leaders from each section receive rewards. We have Leaderboard feature in Activity manager which you can follow your progress daily in terms of staying on top among all other eSteem users and ultimately winning monthly spotlight! This is being improved in future releases to engage users of the eSteem better. Rewards will be sent out soon! Thank you for everyone for using eSteem and continuing to report bugs and suggestions, we are closely following suggestions and reports and including in future updates. Amen. But not too easy because the app is a bit slow on my phone because of the too many apps on my phone. This is the big reason I cannot post in Esteem Surfer. How will this be fixed? Whenever that happens to me I just save the draft, log out, and log back in again. It usually happens when I've been logged in on the app for white awhile but hadn't used it for awhile. Thank you eSteem and congratulation to the winners! Yay! Congrats to you @erikah! Many thanks for your wonderful support @esteemapp. I'm very grateful. Congratulations to all achievers for this month. All the very best everyone for 2019. Wow, @trudeehunter! Nicely done! Congrats to you! Thank you Melinda. I certainly wasn't expecting that wonderful Christmas present. Congratulations to you too for your impressive and consistent achievements. You're a great role model. Awww. thanks! So are you! It does go to show that it pays to be a loyal eSteem @esteemapp user! Absolutely Melinda! I really love esteem and I'm loving the new spell check. It makes posting so much easier. Thanks so much @esteemapp! Congrats to everyone on the Leaderboard! @janton You are the King of Comments and I love seeing your hard work rewarded here. howdy esteemapp! wow, thank you so much for the reward and for creating such a great platform to use! Congratulations to everyone who made it to the leaderboard and especially to melinda010100 who helped me achieve a large number of comments! @janton I can't even begin to imagine how many comments you will be able to make once your new computer arrives this week. howdy again Melinda! you know what? I may do less commenting, not sure but I'll be able to do more faster and catch up so I'll have more time freed up to do other things. I don't think I'll press on and do more commenting. There is certainly no reason for you to do MORE! Thank you so much @esteemapp! 😀 You are awesome! 😀 Congrats to my brother @nante! You did it! Congratulations to all winners! Cheers! Congrats to you! Nice posts! Happy New Year! Congrats to you, my friend! I love seeing your name here! Thsnks, @pennsif! And I do appreciate all the work you put into SOS.